Note to Spanish readers of Inside GNSS: Congratulations on your World Cup win! The Aerospace Research and Technology Center (CTAE) of Catalonia is sponsoring a free workshop on Monday, July 26 for businesses, researchers and academics interested in finding out more about Galileo applications projects or partnerships. If you would like to present a project idea, please contact Marti Jofre at CTAE as soon as possible. The third Galileo Call for Proposals opens at the end of July. 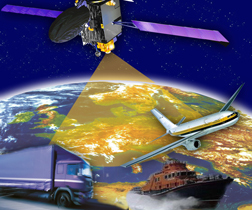 Projects funded by previous 7th Framework Programme calls for Satellite Navigation Applications will presented briefly. Register no later than July 21 by sending your name, organization and email address to Ariane Pirard at the email address below. The workshop will be held in Spanish, Catalan, or English depending on audience requirements. call is estimated to be €38 million. The Galileo Call for Proposals is expected to go out by the end of July 2010.